Walmart was founded in 1962 by Sam Walton and now employs 2.2 million associates around the world -- 1.3 million in the U.S. alone. Every year, Walmart promotes about 160,000 people to jobs with more responsibility and higher pay. 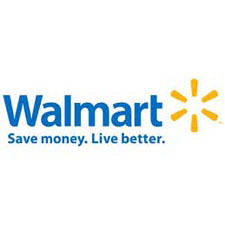 In 2012, Walmart and the Walmart Foundation gave more than $1 billion in cash and in-kind contributions around the world. In addition, Walmart, Sam’s Club and Logistics associates volunteered more than 2.2 million hours, generating $18 million to U.S. non-profits. We're working toward three aspirational sustainability goals: to be supplied 100% by renewable energy, to create zero waste and to sell products that sustain people and the environment.